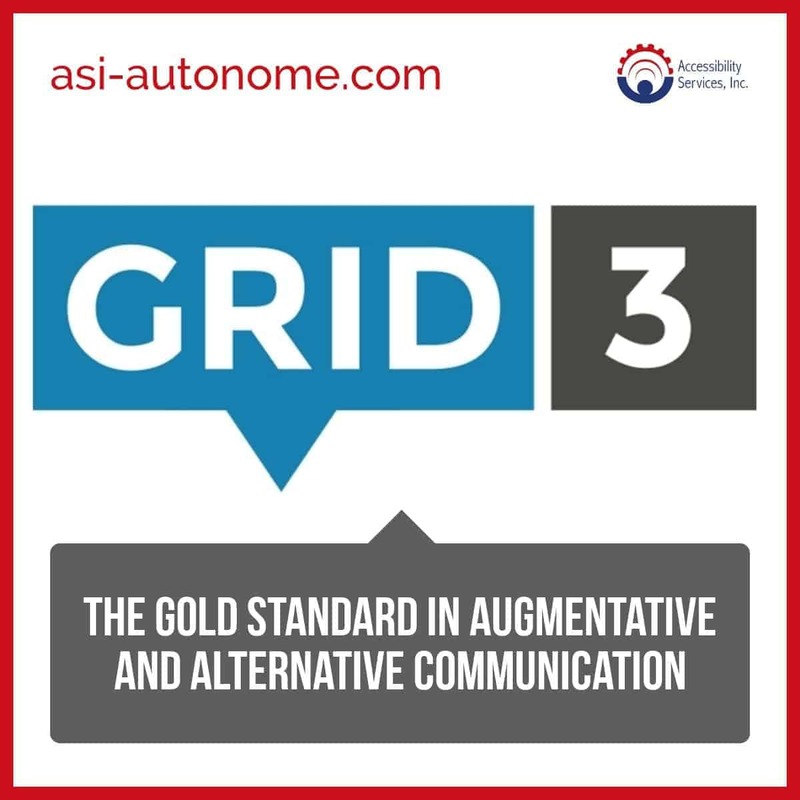 Accessibility Services, Inc. is proud to offer Grid 3 software – the gold standard in augmentative and alternative communication (AAC) – with the products we offer. Whether you are considering a Grid Pad or a custom environmental control unit (ECU) / AAC package such as the autonoME, you can count on Grid 3 software to deliver advanced features and optimal performance. Text communication – Grid 3 software allows users to easily access text communication options. It comes with more than 5000 pre-loaded sentences as well as the ability to add your own. Symbol communication – Similar to text communication, symbol communication allows users to use symbols vs. text to communicate. Access options – Communication devices for quadriplegics should have access options to accommodate different levels and types of disabilities. Grid 3 software integrates with eye gaze, switches, sip and puff, touch screens and more. Grid sets and accessible apps – Assistive technology for quadriplegics should allow users to accomplish everyday tasks. Grid 3 software has a plethora of downloadable grid sets and accessible apps that allow users make a phone call, send an e-mail, play games, send a text, take and share photos, browse the Internet, play music and games, watch videos, etc. Computer control – Being able to use a computer is one of the most requested options when it comes to adaptive equipment for quadriplegics. Grid 3 software allows persons with quadriplegia and other disabilities to access Window based software and applications and grid sets for work, school or home. Want to learn more about how Grid 3 software is used to power our signature autonoME ECU/speech generating device? Give us a call and one of our experts will be happy talk with you.